A mountaineer in the making? I was going to entitle this post ‘Scaling new heights’ but then realised that I had already used this title for my last blog post – doh as one Homer Simpson might say. Anyway we are currently staycationing at Andy’s parents in Stockton and are using the opportunity to explore the local area. 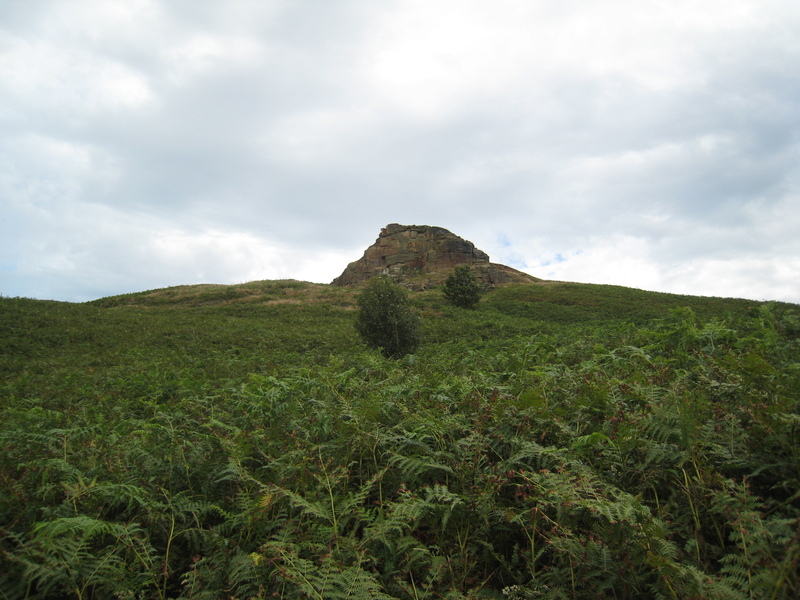 In all of the nearly 13 years Andy and I have been driving up the A19 past Roseberry Topping, on the way to his parents, we have always without exception said ‘we must walk up there one day’. Our excuses to date for not doing this have been along the lines of ‘it’s too cold’ (to be fair to us we usually travel up this way around Christmas time) and ‘we haven’t got enough time’. We could hardly use the temperature as an excuse, with the car thermometer soaring above 20 degrees and the time factor certainly didn’t apply, as we are here for a week. 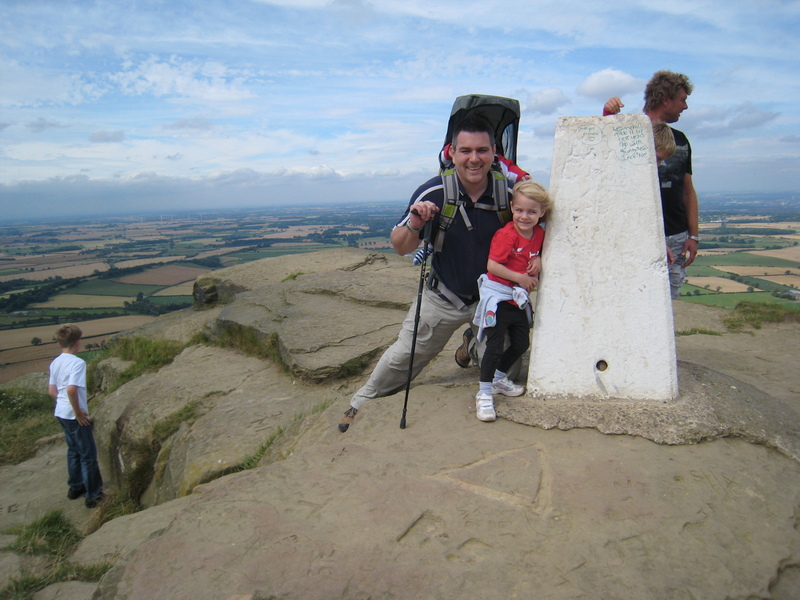 Now you could hardly blame us if we used the children as a reason not to scale Roseberry Topping this time. 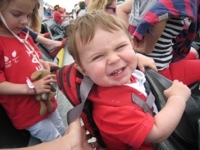 I mean what person in their right mind takes a 3 year old who is liable to whinge at the distance and difficulty and a 1 year old who must be close to 25lbs (this is only significant as he was going to make the ascent in the Daddy taxi), up a mountain (ok hill, but it is as good as a mountain to a 3 year old who is only 97cm tall!)? Anyway Andy had made the decision, which is a fairly rare occurrence in this household, and we were going despite my protestations of ‘it looks like rain’ and ‘what if Ava falls off the side?’. 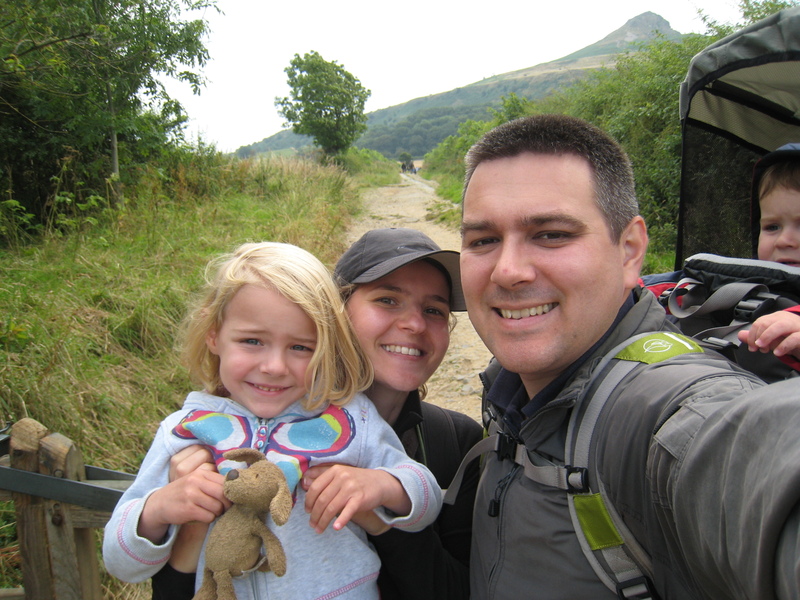 So armed with one 3 year old and a hefty one year old snuggled in his rucksack (highly recommend Little Life), we made our ascent and rather surprisingly there were no groans from Ava about how long it was taking or that she wished to be carried. 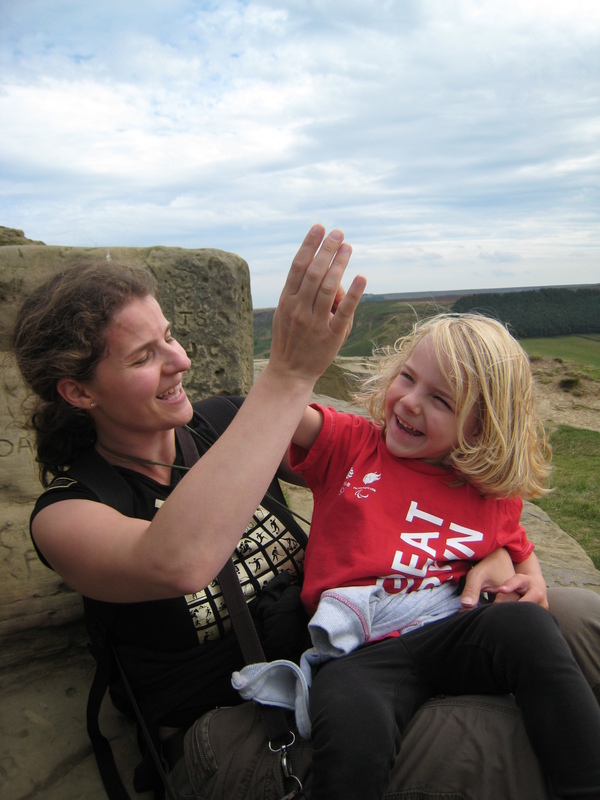 Only 50 minutes after arriving in the car park we were sitting on top of Roseberry Topping admiring the views of the Tees Valley and high fiving our achievement. 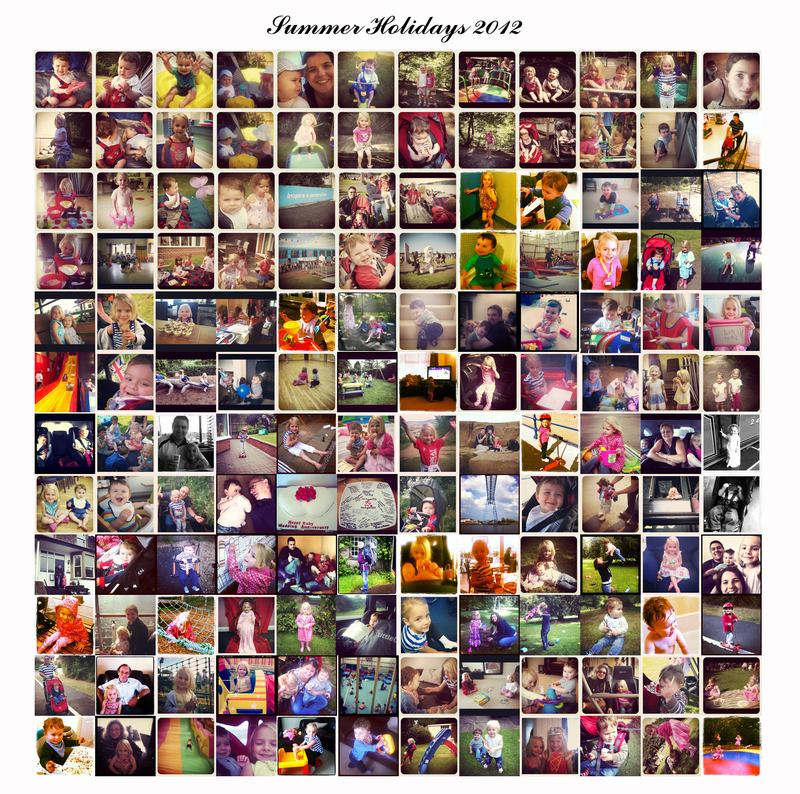 Definitely an ‘I did it Mummy’ moment for one very pleased 3 year old. Does Mont Blanc, Everest or K2 beckon for her, we’ll see. Several months ago we entered the Olympic draw in the hope of securing tickets for London 2012. Usually an unexpected withdrawal in our bank account would be greeted with suspicion, however on this occasion the disappointment of a balanced account was palpable and with that our Olympic dream was seemingly over. Okay this may sound a little dramatic, as in reality I have never wanted to compete in the Olympics but I had hoped to be a spectator, and an enthusiastic one at that. 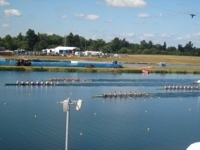 Last chance saloon and we secured tickets for the rowing at Dorney. 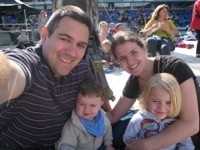 It may not have been our first choice or even our second or third but we were going to the Olympics and the kids were coming too. 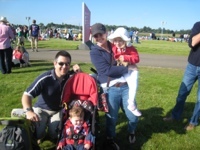 A few weeks ago in an attempt to build the excitement for our offspring, we watched the Olympic torch arrive at the Madejski stadium in Reading. 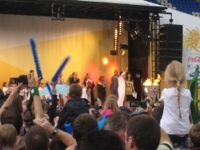 Dinner from a burger van, loud music to dance to and some fire (the lighting of the torch). What more could a 3 year old and 1 year old ask for? As parents of young children we’ve had our fair share of sleepless nights but a 5.45am wake up call following 4.5 hours sleep was pretty harsh even for us. We (Andy and I) had stayed up to watch the entirety of the opening ceremony but had I known Paul McCartney was going to be rolled out yet again to sing Hey Jude, after the athletes had been presented, I may well have retired to bed earlier! 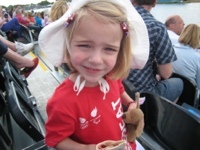 Anyway kids dressed in their Team GB t-shirts and we were safely installed in our car. 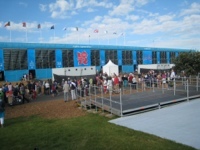 We had expected to queue today but for the most part we were pleasantly surprised – excellent parking and shuttle service, followed by a lovely 2km stroll in the sunshine to the venue and a very slick security process (Heathrow could learn a thing or two). Only slight complaints were the long queues for free water and expensive food which meant we missed the first two races. Kids lasted a good couple of hours in the stand. All in all a lovely day where we got to talk freely to perfect strangers (wish it were possible to do this more often) and were welcomed warmly by some very helpful volunteers. Definitely a day for GB to feel proud.